The other day I was driving down the highway headed to work. I knew there was a construction zone up ahead, in Oklahoma there is almost always construction ahead 😅. Anyway, I was ready for it. I slowed way down and got over to avoid the traffic that needed to merge, and kept right on going in my same direction. There was a car next to me on one side and a concrete barrier on the other, so there wasn’t much room for error. All of a sudden I felt my steering wheel jerk. It felt like my car had a mind of its own! I tightened my grip and tried to regain control. I panicked! I knew if I pulled too hard to the left or the right I would end up side swiping something. All of this took just seconds from start to finish, but so many thoughts went through my mind that it felt like much longer. And what I realized as I was finally able to regain control of my vehicle again is that the cause of all that had happened was just a little seam in the road. Because of the construction, the lane I was in was normally used as a shoulder and the gap in the pavement was meant as an obvious marker to cars that they were no longer in a drivable lane. As my cars’ tire landed in that seam, it took the path of least resistance that the road provided. As the driver, I was no longer able to maintain control without constant and intentional guidance. Passing through the construction I thought about how easily I lost control of the situation because I was unprepared. I hadn’t counted on a distraction, I didn’t expect a diversion. I wish I could say this was a one time occurrence, but unfortunately I have let this happen in other areas of my life before as well. I think I have something all figured out then wham I’m headed down a path I never meant to take. I had this idea of my own self control being much greater than it actually was. See, I am a super organized person. I keep lists of lists! I figure because I have a plan for how everything should play out nothing can veer me away from the self marked agenda that is my life. I have had to find out the hard way that I am not the “queen of self control!” There have been situations in which I have let my guard down because I honestly believed I was above getting sidetracked because it wasn’t part of MY plan! Now, I’m not talking about Gods plan, I believe His plan trumps mine every time. I’m only talking about the day to day decisions that are always in front of us. Satan has curated a distraction designed especially for you. One that is “seam”ingly harmless because otherwise we would turn and run the other direction. So be prepared! Equip yourself in advance with a course of action, because whether we mean to or not sometimes we are shifted into lanes that were not intended for our travel. The creator of those highways never meant for the shoulder to be driven on. And our Creator doesn’t desire a life for us lived in a lane outside of His perfect design. So here’s my new plan; for me in the past self reliance=pride, so,”God help me to stay humble enough to know the only thing I can control is if I’m going to wake up everyday and ask for Your help with what lies around every unseen corner. Now that sounds like a road I want to travel! We are spilling the details about our best dates ever! "My husband Michael is really great at surprises. I think he must love to plan the surprise out as much as I love to receive it!! I am so incredibly lucky to have him 😍. 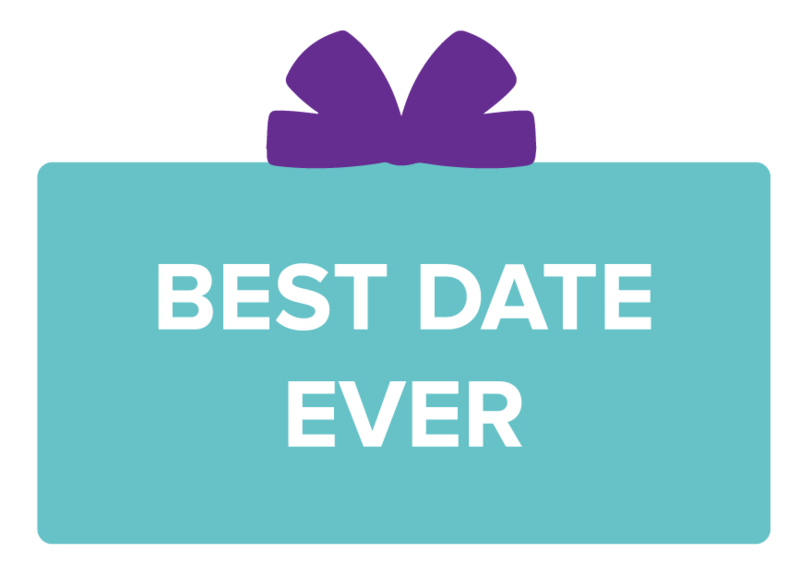 Here’s the story of my pick of our best date EVER! On November 3, 2014 we celebrated our 20th wedding anniversary. The following weekend he woke up and said,”hey pack a bag, let’s get out of here,” now this is my favorite thing he does. He randomly plans short getaways for us and it is the most fun ever! Why am I such a flibberty jibbett? What is a flibberty jibbett? It’s the girl who keeps getting caught in the never-ending cycle of the start and stop; the excitement of the beginning vs. the difficulty of the finish. In short- it’s a girl who quits…. Hello, my name is Lisa Goins and I’m a flibberty jibbett. And this was just last week. As if these things aren’t defeating enough, I’ve recently discovered the most difficult part of being a flibberty-jibbett and the truth of it hurts my heart. The flibberty-jibbett in me is ruled by an inner voice of fear and I had learned to accept it as truth. And the painful heart truth of it? Afraid of failure, afraid I won’t measure up, afraid of being uncomfortable. Not when the dream is from Him. There’s a woman I want to be, she believes that God is the giver of all good things, big dreams included, and that woman is on the other side of comfortable. I’m ready to abandon the sidelines of my comfort zone and participate in the life God intended for me to live. As a fairly new Oklahoman, I was delighted to discover the state’s most fashionable gems, the Surprise girls, Lisa and Shannon. 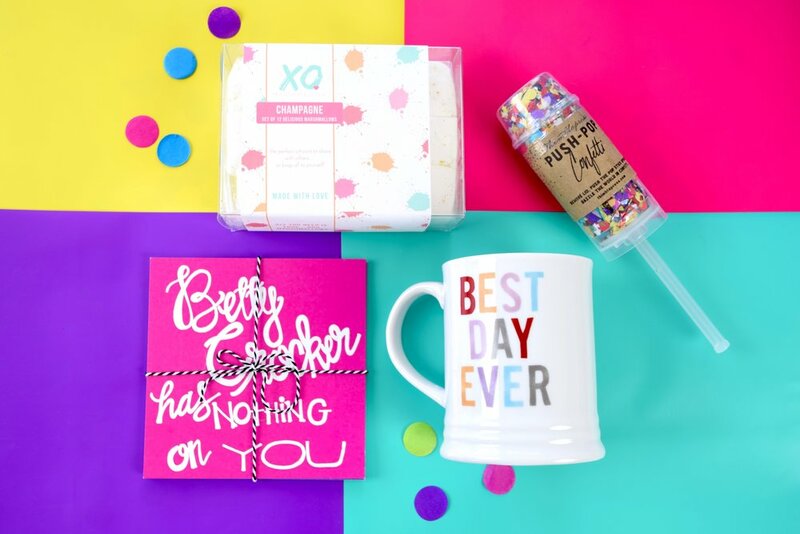 I was incredibly excited when they asked me if I would do a guest blog post on the Surprise Gift Co website! I have fallen hard for this company and its mission to encourage gifting and spreading love. This western girl found kindred spirits in these two because of so many things but especially their love of color, pattern, gift-giving and, real-talk and of course those heavenly Parisian pineapples from Sugarfina (*swoon*)! This is such a truly beautiful company and I am so excited that they asked me to share with you a little about myself and my shop! My name is Lori Burt and I am a graphic designer, fashion illustrator and creator of Project Print on Etsy. I grew up loving fashion; pouring over the newest issues of Seventeen, InStyle, and Lucky magazine when I was in Jr High and High School. Because of my love for drawing and creating, you could most assuredly find me sewing fashion-forward Christmas stockings for friends or drawing portraits of notable 90’s heartthrobs Gavin Rossdale and Johnny Depp in art Class. Fashion, design, and drawing have always been a passion in my life. If I told you that I have a Bachelors in Biology, would you believe me? I haven’t always been able to indulge in my passion, but after years of loving/cursing the life of a stay-at-home mom, I decided to unleash my pent-up creative energy and start something I could call my own – and also, regain my sanity and spare my children and husband from intermittent mommy meltdowns. Hence, Project Print was born. I named it Project Print because I am a huge fan of Project Runway and thought this would be my own experiment in whether I have what it takes or not to be in the world of design. Project Print began with greeting cards only, all done with ink drawings of the judges from Project Runway paired with their famous and funny quotes and quips. As time went on, I decided to go back to school and get my degree in graphic design and Project Print evolved into what you see today! So what’s new with Project Print these days? Well, only everything! I change up the patterns of fabric I use for my makeup bags constantly (if you love Flamingos, and who doesn’t? You might want to check out my custom makeup bags! ), I just introduced a new line of Hello cards and Miss you cards and a fun new fashion calendar! I’m always adding new products as exciting ideas come to mind and fresh inspiration strikes! Take a look at Project Print and see what might catch your eye! I’m so grateful to be able to pursue my passion in life and share that joy with the rest of the world! I feel especially blessed to have been able to meet and make connections like those with Lisa and Shannon, that help me grow as a person as well as a business and make this place my home. Be sure to head to my IG (@lbprojectprint) to enter! All you have to do is follow my IG and comment on the same picture as the one below with "SURPRISE ME!" I’m going to be giving away one of my makeup bags and fashion prints to one lucky Surprise Gift Co follower as well, check out their facebook for details on how to win!